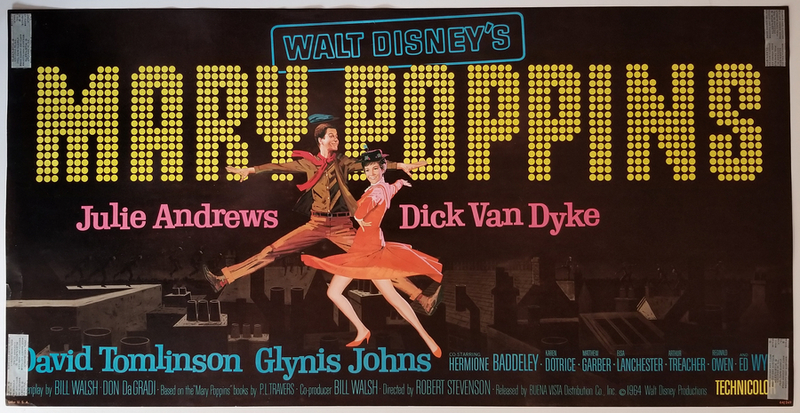 This is an original window poster that was created for the promotion of the original release of the Walt Disney studios feature film, Mary Poppins. The poster measures 15" x 29" overall and has unused double sided adhesive in each of the four corners. This poster would have been designed to be posted on the inside of a window looking out. The poster is in very good condition and will ship rolled.